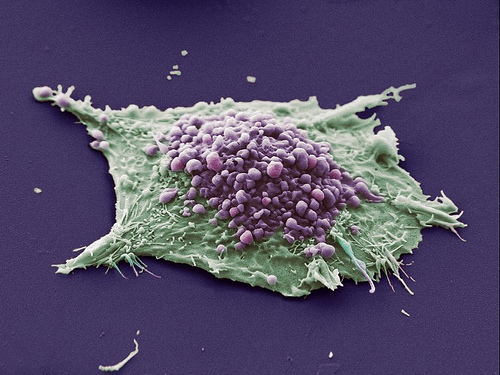 Lung cancer cell: it’s now less likely that this has anything to do with nicotine. “But it’s still got nicotine in,” say many people when I tell them about the electronic cigarette. TobaccoHarmReduction experts estimate that smokeless tobacco and e-cigarettes could carry 1% or less of the risk of smoking. And a new study out today reinforces that belief, finding that nicotine does not accelerate the growth of lung cancer in mice. The release emphasises the case for the NRT aids, although there is still a problem with them. Unaided cessation is generally twice as successful as cessation with NRT over a longer period of time. The study, however, is encouraging for people who want to enjoy nicotine without burning tobacco to get at it. Nice Article, keep researching and informing people! Whilst I am not an expert my father used to work for a company that made cigarette manufactoring machines and the tales of what was added to the tobacco years ago to keep the “fag” burning were legendary!basically sugar and a whole multitude of chemicals are what cause cancer, sugar molecules burnt in tabacco cause the tar (ever melted or burnt sugar to make caramel! )which when inhaled leaves a sticky residue on the capillaries in your lungs over time combined with the 100 or so other chemicles in treated tobacco this strangles those capillaries and destroys the blood vessles and potentialy changes the DNA which can cause cancer,emphasimia etc It is often said that if you have to smoke then the safest(ha Ha!) way is to hand roll from virgin tobacco as this has not had the chemical spray that manufactored ciggies would normally have however inhaling any burnt substance in the form of smoke particles(the reason why so many of our hero Firemen have medical issues later in life) will give rise to over 50 different carcinogens that could in certain people trigger lung deficiancy and potential cancers. I was a 41 year pack a day smoker who has now moved onto E ciggarettes as all other quit options had failed,patches did not work,Champex dont even start me on the side effects of that one! !gums, sprays,inhalers etc etc etc! 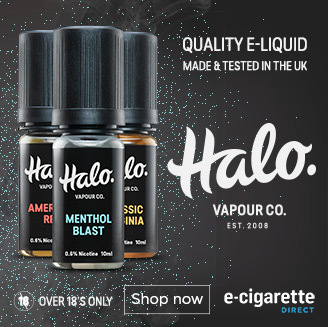 despite all the negative press surrounding E-cigs is it not better for me to be using tham rather than traditional Fags! I must admit my taste buds have sort of changed my smell is better! both what I get and what other people say! !and so far I have saved approx $100.00 times that by what I would have spent in a year and my midlife crisis Harley gets closer! his only answer was “have you seen the latest Tax to welfare statement for this year!”If you addicts give up smoking and drinking we will be in the S–T in 2 years! Thanks for the comment, Gdub – it’s fascinating to have background information from someone whose father worked for the tobacco companies. Some people find e-cigarettes less addictive than cigarettes – perhaps it’s because of the other ingredients added to tobacco!